Do you experience calf pain after running? Here are the causes and what you can do to prevent the pain! Today we have many more runners taking to the streets to stretch their muscles and boost the overall health of their bodies. But sometimes this form of exercise usually takes a toll on us sometimes. Our muscles become sore making it difficult to run or even walk for some time. This soreness could also include calf muscle soreness or pain after running. Sore calves immediately form during and/or after running. This is just an indication that you need to correct your running techniques or rather it is an indication that it is time to change your running shoes. It is, however, good to also know that calf pain after running, jogging or doing a calf raise exercise is not always bad news. When you experience the pain when running, your body is just trying to communicate to you to tell you that you have had enough for the day. When the pain comes after running, your calves could just be adjusting to the activity but if the pain is too much, then there has to be an underlying problem. This type of pain is mostly treated with ice and anti-inflammatories. The injured calf should then be tightly wrapped with a bandage but not too tight so as not to inhibit blood circulation. You should then leave the bandage on you all day for a couple of days, ensure you have wrapped your calf even when going for a run for the next couple of days. Also, stretch out the calf for about 10 times in a day and wear shoes that reduce the stress on the muscle. The calf is made up of three muscles which pull up on the heel bone when walking or running. The most common type of calf pain is the calf strain which is normally due to overuse and is more aggravated by hill running. It can also be caused by lack of proper warm up before exercises and lack of proper cool down exercise after exercises, dehydration and overpronating. The Concentric Contraction which is as a result of the muscle moving against a direction resistance. The Isometric Contraction which normally occurs when the muscle is resisting a load. The Eccentric Contraction which occurs when the muscle is slowing down a heavy load in the opposite direction this type of contraction causes a more severe soreness as it results in more damage to the muscle fibers. Since sore muscles are often caused by eccentric muscular contractions hence a great eccentric loading in the calf can be a cause of the soreness of the calf muscles and the degree to which the calf is loaded depends on your speed and your shoes. According to Physio Room, there are normally three grades of calf strains. The first grade of strain is the one that is barely recognized until after one finishes running. This kind of strain is characterized by calf tightness and cramping or a slight pain when the muscles are stretched or contracted. The second grade of calf strain is where the pain is immediately felt when stretching or contracting the calf muscle and it is usually sore when you touch it. The third grade of calf strain is the one that causes immediate burning or pain that even makes it difficult for one to walk. How can you treat calf pain? The two major muscles of your calves are the gastrocnemius and the soleus. Doctor Bryan J. Dixon who is a doctor at the Marquette Sports Medicine Institute says that identifying the cause of strain in these muscles is the key to rehabilitation and recovery. He also stated that the gastrocnemius injuries are more common than the soleus injuries because of how the muscles contract when one is running. 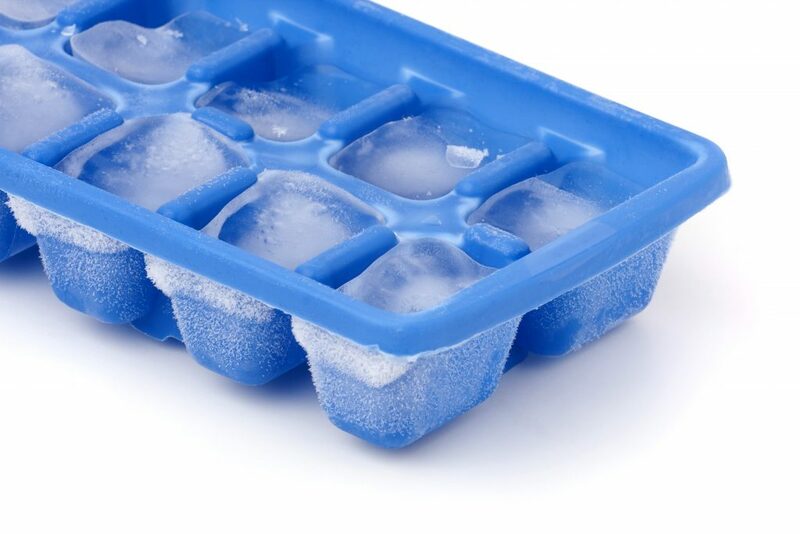 The immediate treatment should be to use ice on the affected region and taking an anti-inflammatory to help reduce the swelling. After experiencing a calf strain, even a mild one, it is advisable for one to rest of about a week since if you continue putting pressure on the strained calf could lead to it upgrading to even a grade three. You can use sports orthotics, heel cushions, and calf sleeves to help with the healing process. 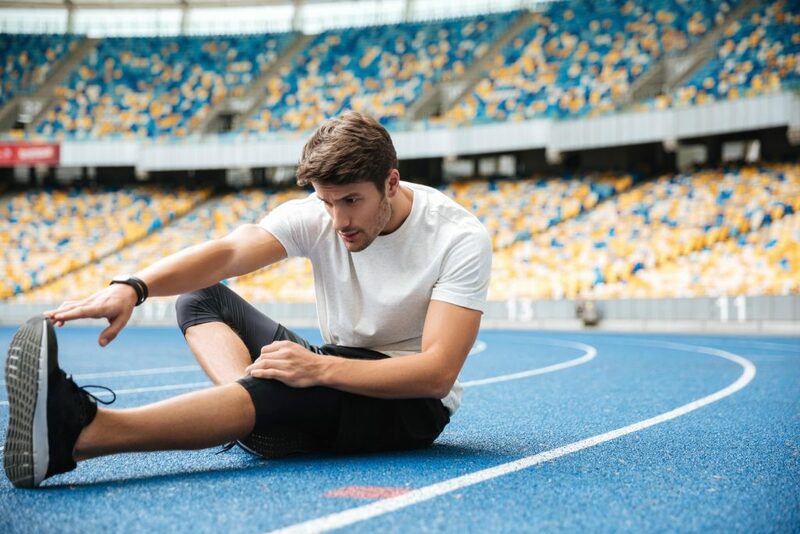 After resting, you can get into Active rehabilitation which might include resistance exercises and stretching to help align the scar tissues that form during the healing process. One can also engage in core strength and stability exercises to improve the function of your muscles to minimize the stress on the calf when running. The most recommended type of treatment for calf pain is usually to run in lower heeled shoes and to gradually increase your running pace or you can also run barefoot on grass. 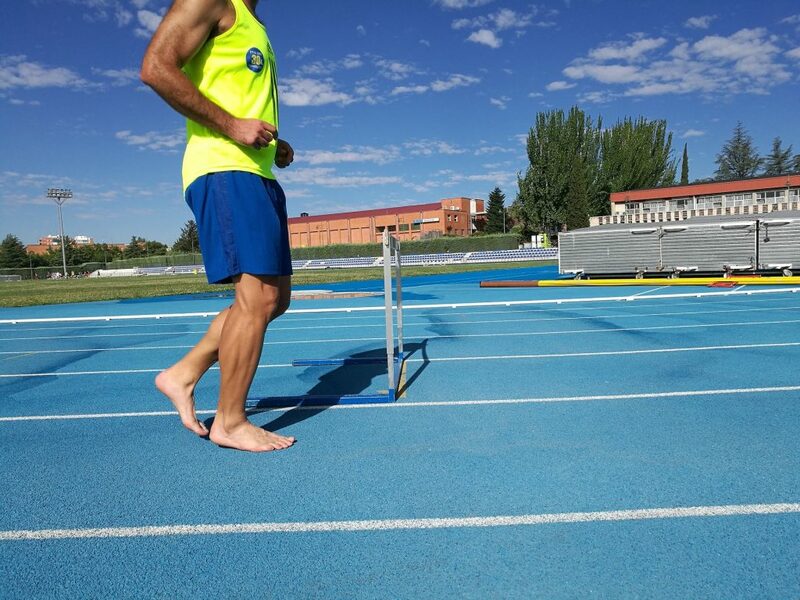 The benefit of barefoot running is that with time, your calves get accustomed to the eccentric loading your calf will be taking during future workouts in the light shoe. Calf exercises help to boost your calf strength especially the eccentric heel drop. Gently stretch the calf muscles to prepare them for the strength exercises for later. If the calf muscle pain prolongs even after doing the above-stated therapies, seek the help of a doctor. Sometimes one would be required to use crutches and get involved in physical therapy to help in the recovery process. When you develop calf pain after running, take a rest and go see the doctor because if you continue stressing the calf it could lead to serious problems. 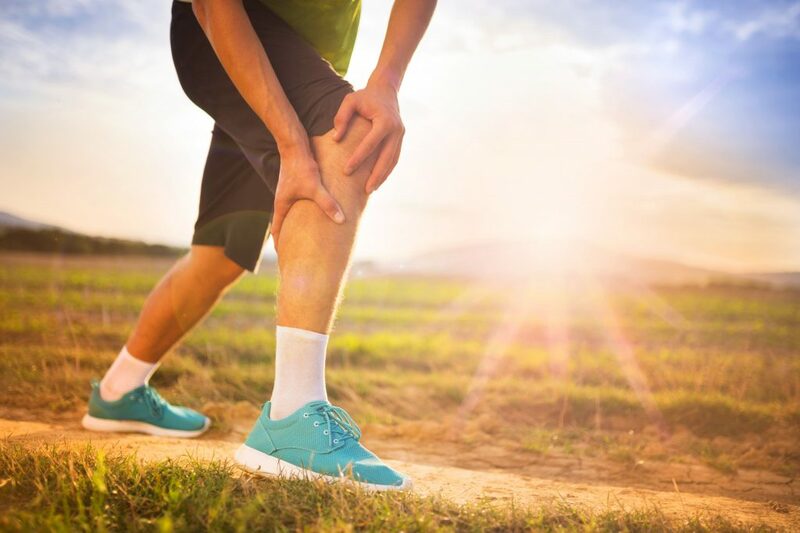 There are some calf pains that are caused by serious injuries such as a microfracture and in such a case the injured individual will require surgery before they can completely heal. If the pain is recurring, consider getting a new pair of lower heeled running shoes and then seek advice on proper running techniques. The period after which you can get back to running will depend on the intensity of your calf pain and it can range from a few days to up to 12 weeks. To know whether you are ready to get back to running, do 30 minutes’ walk on an even ground and later you can do a hilly walk. When still healing some of the things you can do to ease the pain include hot and cold therapies by applying heat and ice packs on your calf muscle. Ice packs when the pain begins helps to reduce blood flow to the area hence prevent swelling while the hot pack will come in handy later to help the muscle to relax. Stretching is also good to help in the recovery of the injured calf as it helps in stimulating blood flow and releasing tension while preventing scar tissue from building up. For those who do not mind using herbal products can try using the aerogel arnica gel which is known for treating bruises by reducing the symptoms of bruising. Applying the gel four times daily has been proven to be effective in reducing swelling, stiffness and in reducing pain. As you wait for your calf to heal, you can engage in other forms of light exercises such as swimming and weight training. Another important factor to consider in preventing the occurrence of calf pains is your nutrition and diet. When you intend to go for a longer run, it is good that you take a sports drink to provide you with energy and to keep you hydrated. Also, make sure that you consume a good amount of proteins and amino acids this helps to reduce the negative effect of muscle damage that might hinder you from running the next day. Ensure that your diet is full of antioxidants to help strengthen your internal defenses. The best source of antioxidant is found in fresh fruits and vegetables. Also take a healthy amount of essential fats such as the omega 3 fats which can be found in fish, nuts and flax seeds. You can also include supplements in your diet.